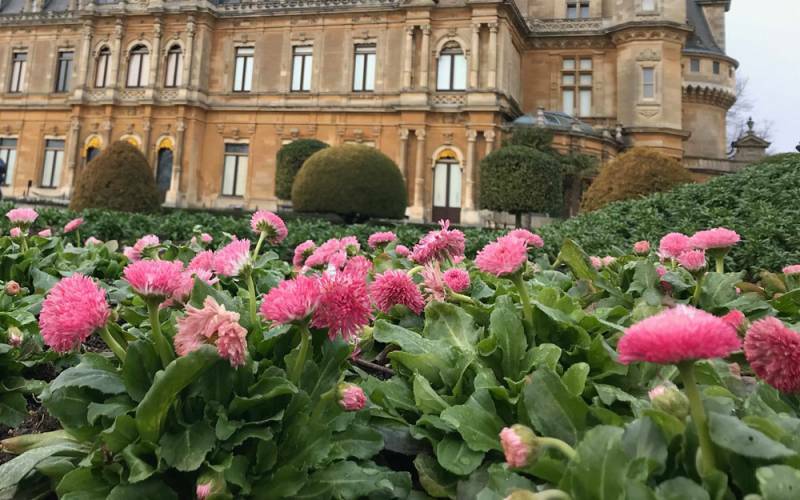 Waddesdon is famous for its Carpet Bedding and every spring and summer we change the design of the beds on the Parterre and on either side of the South Fountain. This year we are improving the health of the soil in the scroll beds so this section will remain unplanted. A French-inspired formal garden, a parterre is made up of a symmetrical pattern of beds set off by mown grass and contained by neat pathways and low clipped hedges. Usually designed to be seen from above, in our case from the raised terrace and the main reception rooms and bedrooms on the south side of the Manor. 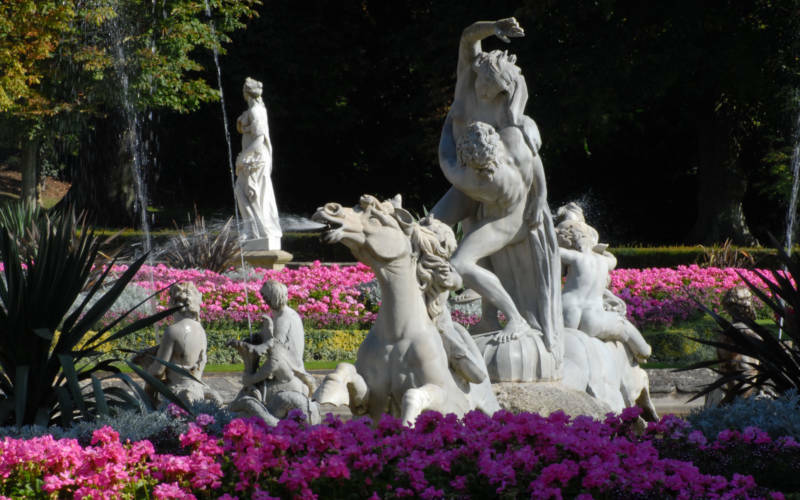 In the centre sits a magnificent fountain, originally made for an Italian palace in Colorno. The parterre was restored in 1994 to designs by Beth Rothschild. 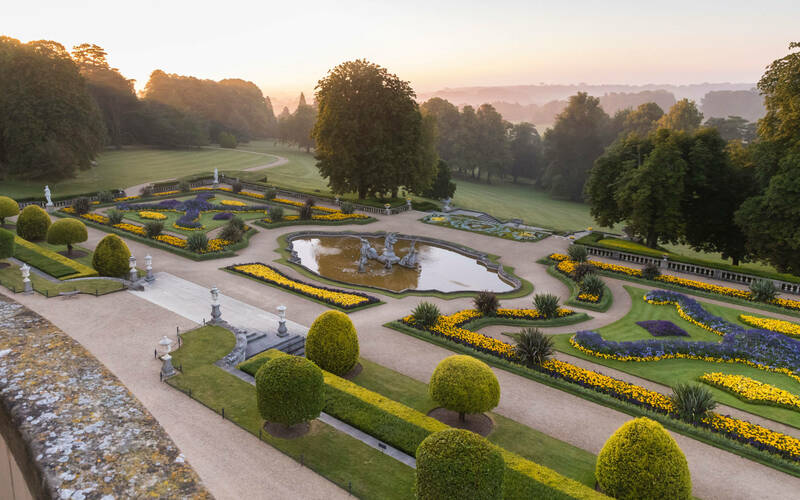 In 2000 Waddesdon won the Europa Nostra award for ‘the extraordinary re-creation with modern techniques of a major Victorian garden’. It takes two months to change over the bedding displays, but the carpet bed, which is grown in plant "tiles", is assembled in a single day! To the north and south of the parterre are the carpet beds, these are larger panels of planting which we use for complex designs. Each bed is made up of some 26,500 tiny plants, chosen for their compact habit to create a living mosaic. 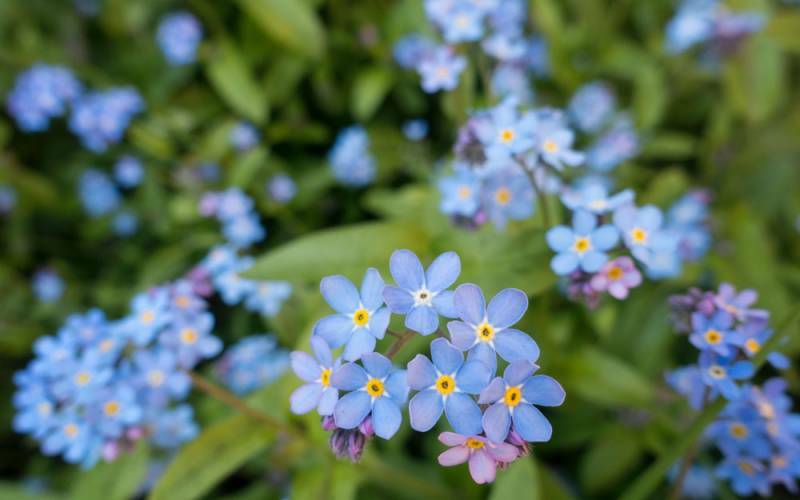 In fact the French name for carpet bedding is Mosaiculture. 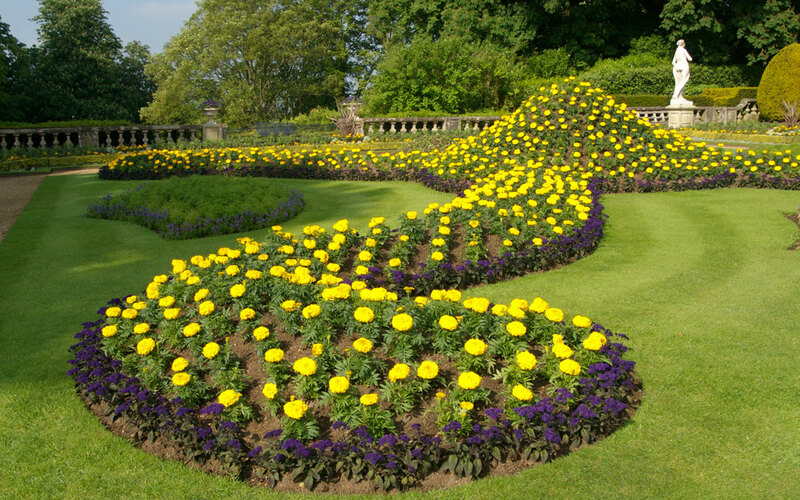 In 2000 we launched an initiative called Art in the Garden, when a contemporary artist was invited to design the bedding. Early collaborators included John Hubbard and Oscar de la Renta. Now, we also make a link between the exhibitions or displays in the house. 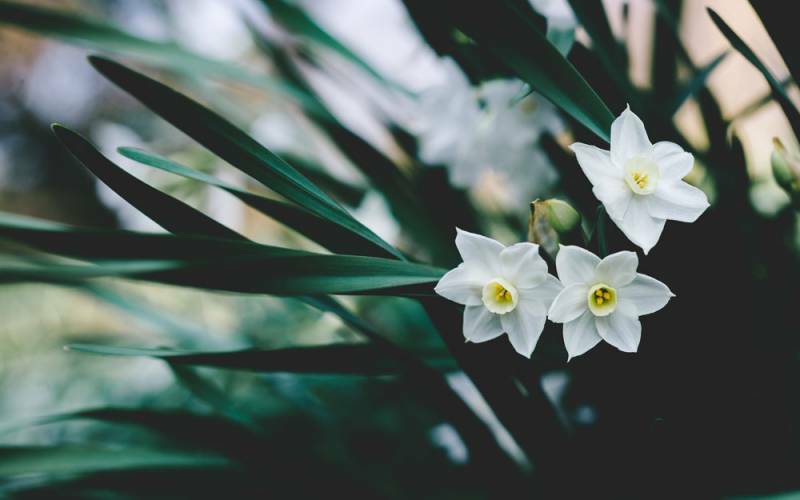 We choose plants to create the colour, texture and pattern of our agreed design. Kernock Park Plants, a specialist nursery in Cornwall, changes this design into a planting plan using a digital system called Instaplant. A coloured dot represents each plant on the plan. From this tiles of bedding plants are created. These tiles are then planted out to create the overall pattern. Gardening was a passion of Miss Alice de Rothschild, Ferdinand’s sister. 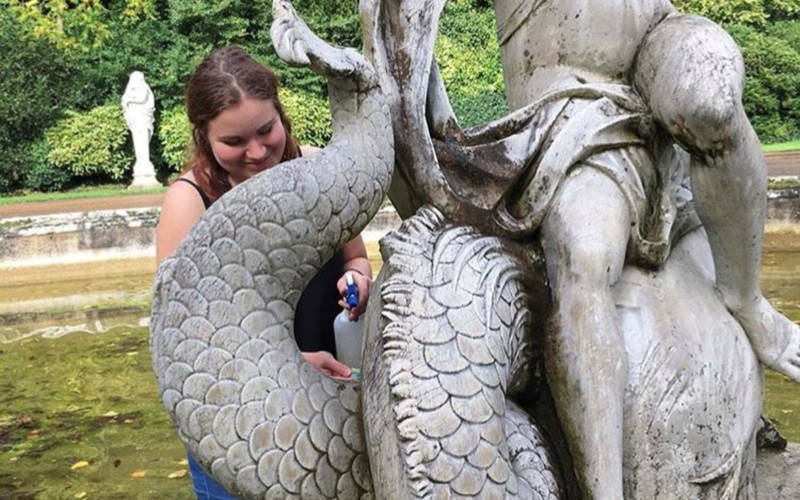 She was known to carry a weeding tool everywhere, and pioneered new gardening techniques at Waddesdon. One of these was the newly invented concept of 3D carpet bedding. Examples can be seen in the Pekin robin and Pheasant near the Aviary Garden. Make sure you don’t miss them when you visit. 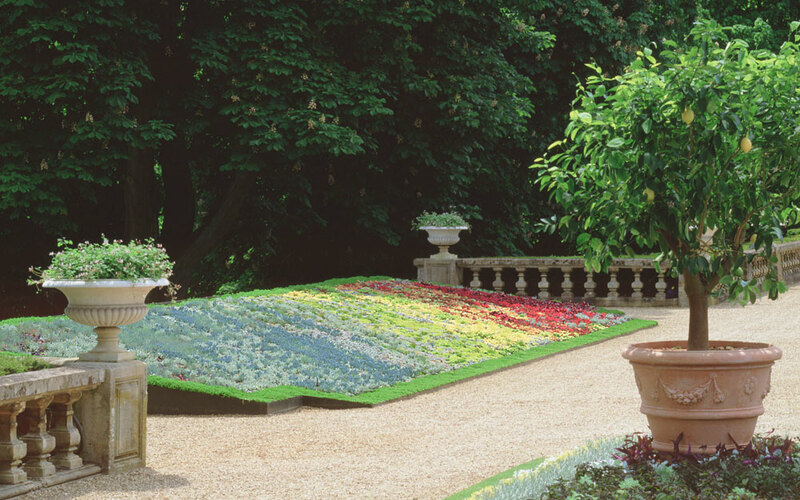 The two side panels of the Parterre are ribbon bedding which as the name suggests, means narrow, scrolling beds, mounded to give them height and depth of colour. 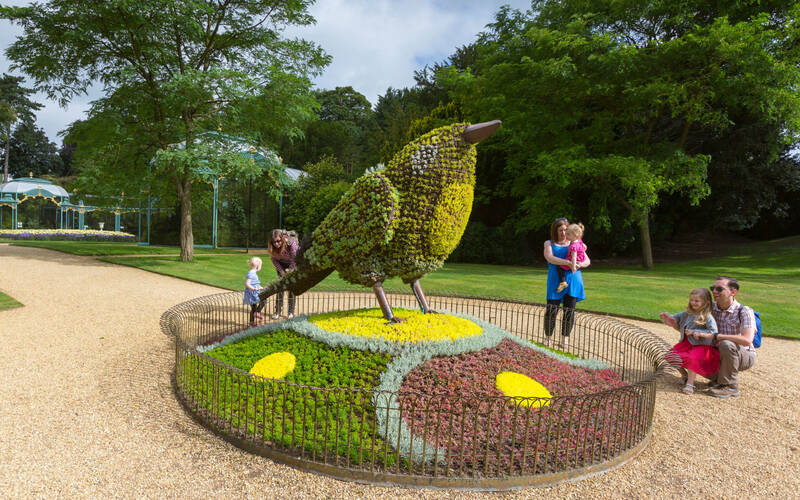 These are planted with bands of different species to create a colourful display. 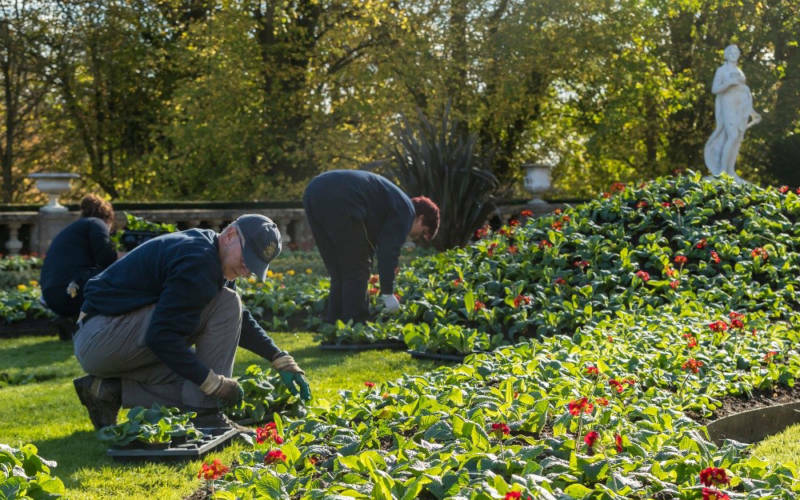 If you enjoy meeting new people and have some time to spare, come and join us as a Waddesdon volunteer. 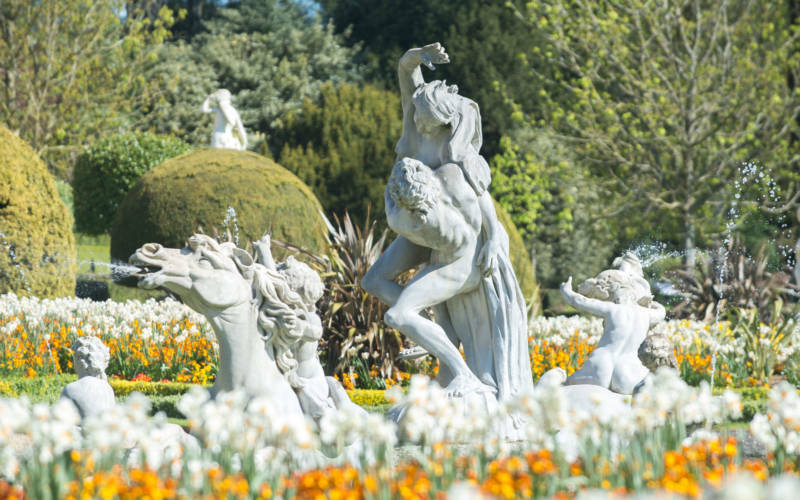 Originally designed as a ‘pleasure ground’ by Baron Ferdinand for guests staying at the Manor, discover how the gardens are still enjoyed by visitors for their beauty and calm.